Harry is out of his depth. Detective Harry Hole is meant to keep out of trouble. A young Norwegian girl taking a gap year in Sydney has been murdered, and Harry has been sent to Australia to assist in any way he can. He's not supposed to get too involved. When the team unearths a string of unsolved murders and disappearances, nothing will stop Harry from finding out the truth. The hunt for a serial killer is on, but the murderer will talk only to Harry. He might just be the next victim. Appearing in English for the first time, `The Bat` is the legendary first novel from the worldwide phenomenon Jo Nesbo. Jo Nesbo is a musician, songwriter, economist and author. 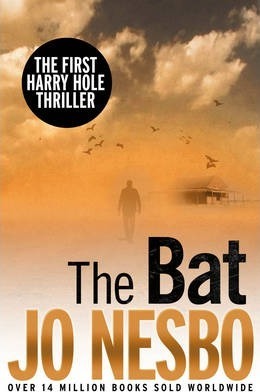 The Bat, his first crime novel featuring Harry Hole, was published in Norway in 1997 and was an instant hit, winning the Glass Key Award for best Nordic crime novel (an accolade shared with Peter Hoeg, Henning Mankell and Stieg Larsson). This bestselling novel appears in English for the first time. Check out www.jonesbo.co.uk .